Meal delivery services are a great way to keep your diet on track when you’re short on time or if you don’t like cooking. The sheer convenience of having your meals delivered to you fully prepared is priceless! However, many people shy away from these services due to high prices or they aren’t able to find a meal service that fits their dietary needs. The ketogenic diet is stricter than most diets, which means that your choices are limited when it comes to picking a meal delivery service. 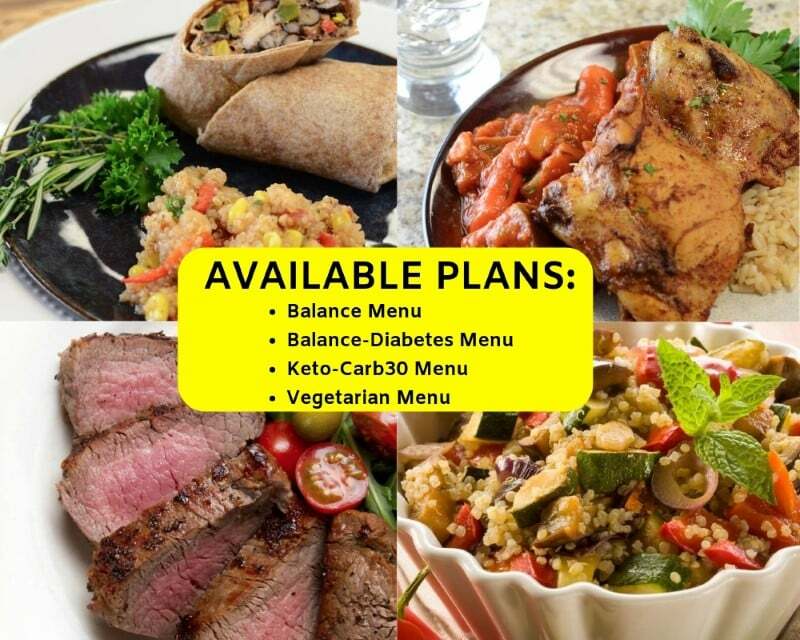 Diet-to-Go offers several different meal plans for you to choose from, and the Keto-Carb30 menu is the low carb plan they offer. We tried nine of their dishes, including three for breakfast, three for lunch and three for dinner. 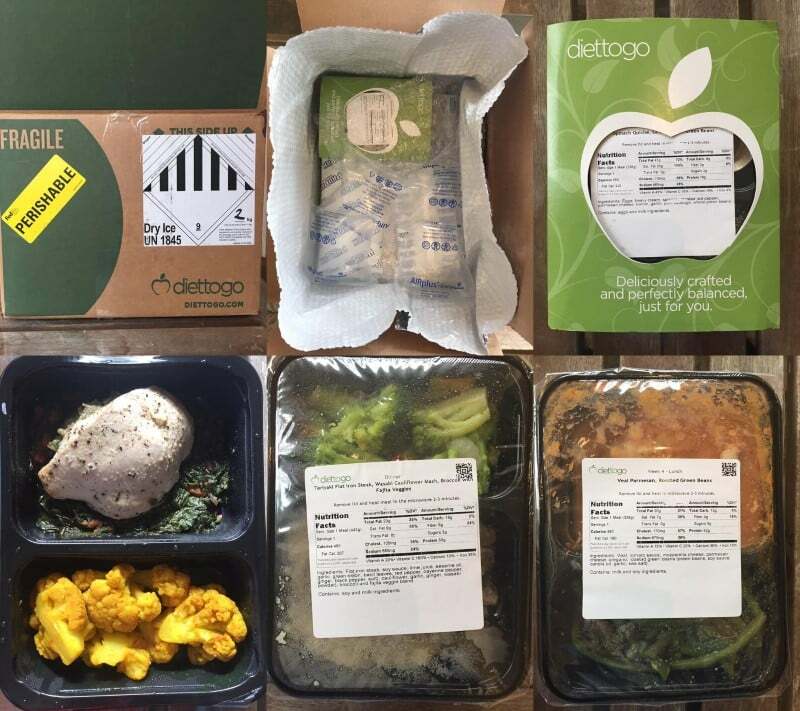 Here’s what we think about Diet-to-Go’s meal delivery system and their keto dishes. You’ve been eating a high-carb Standard American Diet and now you’re looking for a healthy way of eating. You’re looking for a low-carb weight loss meal plan to lose the unwanted body fat. You want to try a low carb lifestyle. You’re a super busy individual and you have no time for shopping/cooking and you just want quality low-carb meals delivered at your door. You’re looking for a meal delivery service that also offers free premium support from on-staff nutritionists and health coaches so you can achieve more success with your diet. *For strict keto dieters, check our reviews below to learn how to customize your meal plan to best fit your needs. For exclusive special deals: Check here! Most people today are pulled in so many directions that cooking and eating healthy take a backseat to other obligations, such as working long hours, running the kids from school to soccer practice, and keeping up with social obligations. Because of this, they turn to fast food for quick meals. We talked about how to order low carb at fast food restaurants before, but eating healthy should be your top priority. Otherwise, you won’t have the energy for all the things you need to get done! 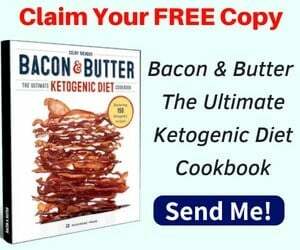 The ketogenic diet is one of the best diets you can follow for weight loss, but it’s also one of the hardest diets to follow due to its strict macronutrient requirements. Ordering a ketogenic meal delivery service is a good way to stay on track and ensure you don’t eat anything you shouldn’t. It also takes the grunt work out of preparing your meals because they arrive at your doorstep fully cooked. All you have to do is heat it up. You don’t even have to do dishes afterwards! Diet-to-Go is one of the few meal delivery services that offers keto meals. The company was designed to make it easier for you to fit healthy eating into your busy lifestyle. According to the website, the company’s objective is to help you achieve and maintain a healthy weight for life by establishing a common sense method for healthy eating that’s affordable and becomes a daily habit. They offer four different diet plans, including balance menu, balance diabetes menu, keto-carb30 menu, and vegetarian. You can also pick a customized meal plan or make changes as needed to an existing plan. All meals are created in the company’s USDA certified kitchen. Diet-To-Go offers a meal delivery service that sends fully cooked meals right to your door every week. You can choose from one of their four standard plans or you can have your meals custom made. The meals are shipped nationwide on dry ice and ice packs to keep them cold. When you’re ready to eat, just pop them in the microwave for two to three minutes and enjoy! Food arrives fully cooked; all you have to do is heat it up! Once you’re ready to get started, you can visit the Diet-To-Go website and pick your plan. The first thing you’ll want to do is determine pricing. You can do this by entering your zip code and then viewing your diet options. Right now they offer a very special deal – you can get $40 Off. If you go to this special page, your $40 Off coupon code will automatically be activated at checkout. After you enter your zip code, you’ll be asked to view home delivery options in your area. Keep in mind that this information may change depending on where you live. You will be provided with shipping date information and when to expect your first meal, which is usually one to three business days after they ship. Then you’ll get to pick your meal plan. If you’re on a low carb diet, choose the Keto-Carb30 option and pick from original or no seafood, depending on your liking. You’ll also be asked to pick how many days of the week you want meals prepared for you. Your options are five days or seven days. You may want to choose the five-day option if you’re planning on using the service during the week only when time is crunched. Most people find they have more time to cook on the weekends. You’ll need to choose between two meals a day (no breakfast) or three meals a day. Remember that the number of meals you choose and days you pick will be reflected in your invoice. You will be shown an order summary on the right hand side of the screen while filling out these options. Lastly, you’ll be asked to check out by providing your delivery information, such as your name, address, telephone number, email address, and any comments you’d like to make. The last step is to personalize any of your dishes and provide your credit card information. This gives you a chance to eliminate certain spices or even cheese from your meals if you want. You can also swap out certain mails or make special requests. With the 20 percent discount, we noted that a keto-carb 30 meal plan for seven days with three meals a day (21 meals) totaled $204.59 per week or $9.74 per meal. There was also a $19.98 shipping charge. Here are some pros and cons of the service. Nutrition label is printed on each dish so you know exactly what you’re eating as well as how many carbs, calories, etc. A little bit more pricey compared to home cooking – meals came out to be nearly $10 per dish, but keep in mind that you’re paying for the convenience of having fully prepared meals sent right to your door instead of spending time and effort going to the grocery store and cook your meals in the kitchen. Also take into account of the travel time and fuel cost when going out shopping for your food. Some photos of the foods and packages inside. The box arrived in a timely manner and was delivered right to our front door. The food was fresh and the box contained several ice packages to make sure it stayed cold until we were able to bring it into the house. We noticed that all the meals were neatly packed inside and you can even keep and reuse the ice packs. 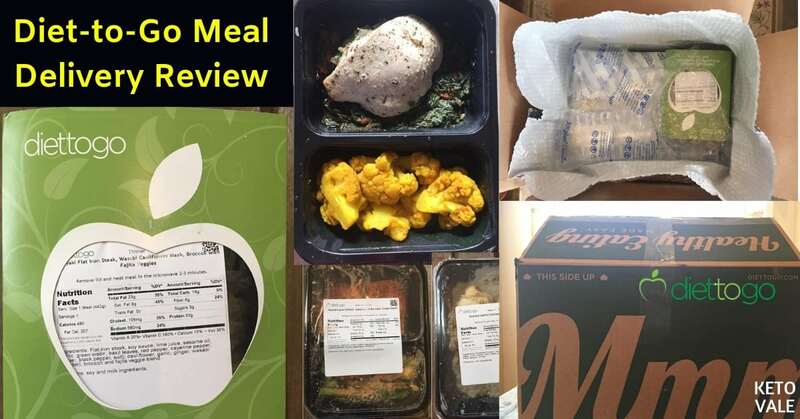 Each meal was individually packaged in a portable container and included all nutrition information, including ingredients as well as calorie breakdown. This was helpful because you could see exactly what you were eating and how many calories were in each meal. An important part of the ketogenic diet is counting carbs and this service makes it easy for you to do that. We really liked the taste of the food. Dishes included olive oil, herbs, and spices that really enhanced the flavor of the meat. Some of the vegetables appeared to taste watery, but this is to be expected from a microwavable dish. Freshly cooked vegetables always taste better than reheated veggies! However, we liked the convenience of the service. It only took three minutes to heat up a meal, which is the perfect amount of time for someone who has no time! We also like that the meals are perfectly portioned and portable. You could grab a meal and take it to work with you for lunch if you have access to a freezer and microwave. Diet-To-Go also takes the guesswork out of eating ketogenic. What Does A Typical Week of The Keto-Carb30 Look Like? 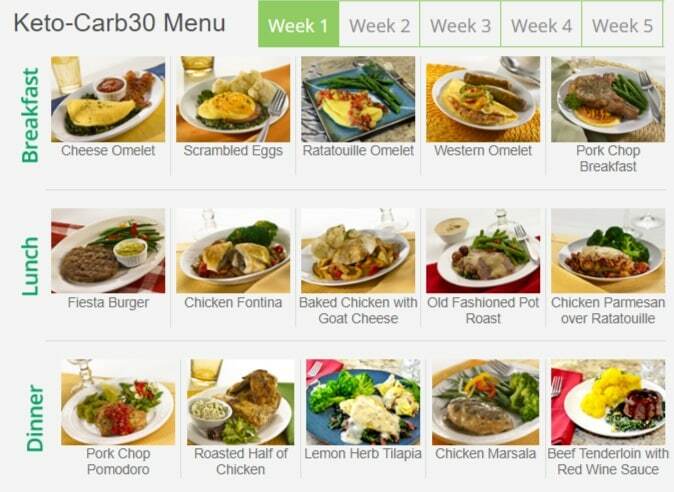 According to the Diet-To-Go website, all keto-carb30 meal plans provide an average of 30 grams of carbs a day. The total net carbs for a 3-meal day varies between 22-35 grams. While this amount is low, it might not be low enough for some people who do strict keto and try to stay under 20g of net carb per day. Most research shows that you need around 20-25 grams of net carbs per day or 5% of your daily calories to come from carbs if you want to get into ketosis. However, the actual daily carb limit on keto varies from person to person. Some people can eat more carb and still maintain ketosis. To find out more about your personal carb limit, check this article! Diet-to-go makes it easy for you. You can use the nutritional information to help you count carbs or ask for customized meals if you need a lower carb intake. You can choose meals with lower net carbs, or order less meals and supplement/prepare the rest on your own. Should You Try Diet-to-Go Meal Delivery Service? If you’re looking for the convenience of not having to go to the grocery store to buy food and spend a lot of time in the kitchen to cook, you should try Diet-to-Go’s meal delivery service. Not only does the service take the grunt work out of eating healthy, it’s also a great way to free up some time during the week in your busy schedule. You’ll be able to skip the grocery store and take your meals with you throughout the day as long as you have access to a freezer and microwave. For those who are NOT on the low-carb/keto diet, you can explore their Balance Menu, Balance-Diabetes and Vegetarian Menu. They offer many delicious dishes. If you have some extra weight to lose and you’ve been eating a Standard American Diet or you’re used to eating out either fast food or restaurants, and you’re looking for a change – a better and healthier done-for-you meal plan to get rid of the unwanted fat, this service is something you definitely want to try out. For those who just follow a general low carb diet, or just want to lose weight by eating low carb meals, the Keto-Carb30 is a great choice. For those who follow a strict keto diet, a few meals on their menu might contain trace ingredients and a small amount of non-strictly keto ingredients, and you need to ask the company to make sure. The average daily net carb of this menu is 30 grams and varies between 22-35 grams. One of the reasons is that they serve quite a fair amount of veggies with their meals – and you know, all veggies have carbs, even the low-carb veggies! You can choose not to eat them all, and instead adding more meat or an egg, a slice of cheese, etc… to really hone in on exactly what you’re trying to do. Total calories of 3 meals for each day varies between 1070 calories to 1800 calories, this might be considered to be low for some people, especially if your goal isn’t weight loss. If you want this plan to work for you, you need to customize your plan, either by adding some extra keto meal, snack or smoothie between your meals to hit your calories requirement, or ask the company if they can customised the meals for you. So for example, you can use 1 meal a day (maybe for lunch at work), and prepare your own dinner once you come home. You can also customize by getting 2 meals a day (breakfast and dinner or lunch and dinner) and chose the meals based on your net carb goals and whatever else you’re supplementing. Luckily, Diet-to-go has an amazing level of support with on-staff nutritionists and health coaches and we suggest you to take advantage of this free service after you sign up. A quick note on delivery: Most customers will receive meals fresh! Those that live in an area where they use FedEx to deliver, they flash freeze the meals when transporting for food safety purpose. But the meals will thaw along the way and should be treated as fresh meals upon receipt and you can keep in the fridge and heat 2-3 minutes. Diet-to-Go is currently giving our readers $40 OFF, go here to claim this offer! The discount will automatically be applied to your cart at checkout! This works out to be more savings for you than the standard 10% off. We had the pleasure of trying samples from Diet-To-Go, a meal delivery service with a keto-carb30 option. Overall, we thought the food was great and super convenient. The flavor profile was unique and delicious, and we liked the combination of olive oil and herbs as well as the good amount of veggies they offer in each meal. The variety of food was also enjoyable because it meant we never got bored. You also can’t beat the convenience of having fully prepared meals right at your disposal and the good support from their team of nutritionists and health coaches. For nearly $10 per meal, you’re paying for so much more than ingredients, such as preparation, delivery, and convenience. If you’re looking for a quick and easy low carb meal delivery service that tastes great and helps you meet your goals while freeing up your time, then we highly recommend Diet-To-Go! You can sign up today and get $40 Off here! Diet-To-Go is worth the money because it allows you to have your meals at your disposal so you don’t have to worry about what you’re going to eat on any given day. Not only that, the help and support you’ll get from their health coach and nutritionist team is already worth it. There are no long-term commitments required and the meals are completely customizable. You can control how many meals you get per week and what goes in them. Not to mention, the food was delicious for being microwavable. We loved the taste of the food and the inclusion of olive oil and herbs. You won’t be disappointed when you try Diet-To-Go’s meal delivery service.